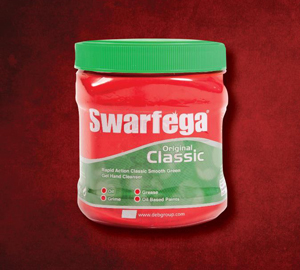 Swarfega has gone online to try and expand the markets awareness of its products by launching swarfega.com. The brand famous for its green cleaning gel is looking to educate distributors and the end users that it has a range of 40 products including cleaners for hands, parts, vehicles and degreasers. The new website is also an online support solution for its customers by providing with in-depth product and support information. The Derbyshire based firm hopes it will bridge the gap in its offering for distributors and end users.